Matthew Davies Bsc (Hons) Quantity Surveying, LLB (Hons), LPC (Commendation), DipAdj, Member of the Royal Institution of Chartered Surveyors, is dual qualified as a Chartered Quantity Surveyor and a Solicitor (non-practising). 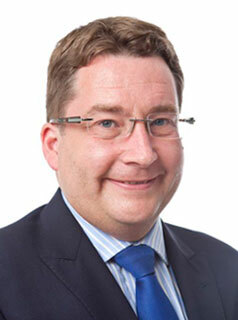 Although Matthew is admitted as a Solicitor of the Supreme Court of England and Wales, lest there be doubt, he is a non-practising solicitor and does not at any time whatsoever, either expressly, impliedly or in any other circumstances at all, act as and/or provide opinion and/or advice in the capacity of a Solicitor under the auspices of Blue Sky ADR Ltd, but instead provides services only as a Chartered Quantity Surveyor. The above reference to Solicitor (non-practising) is only as to Matthew’s qualification. For the avoidance of doubt, Blue Sky ADR Ltd are not solicitors. In addition to his surveying and legal qualifications (see above) Matthew has a wide and extensive range of practical commercial and legal experience. Matthew specialises in providing legal, commercial and contractual management, construction claims and dispute resolution services to the construction industry including representing organisations in adjudication and other dispute forums. Matthew also drafts and reviews contracts, sub-contracts and collateral warranties, and advises on a variety of contentious and non-contentious construction matters. He also undertakes and/or assists with the preparation and resolution of complex final accounts and other quantity surveying matters. Matthew has over 20 years experience in the construction industry originally gained working as a quantity surveyor working on a variety of building projects, then latterly as a consultant specialising in commercial and contractual management and construction law. During this period Matthew has worked and acted for employers, architects, main contractors and specialist sub-contractors in providing quantity surveying, legal and commercial services on a wide range of construction projects operating under a variety of standard and non-standard contracts and sub-contracts. These have included: shopping centres, commercial offices, leisure centres, underground station, industrial facilities, shopping centres, refurbishment, prestige residential developments and social housing. Matthew also undertakes the vetting and drafting of contracts, seminars, provision of legal advice and the overseeing of various aspects of dispute resolution including adjudication. He is experienced in the resolution of both simple and complex contractual problems. He regularly assists and advises clients in a wide and varied range of construction contract matters, including disputes (and dispute avoidance), tactical advice, training, drafting, negotiation, representation, termination, various other rights and remedies and assisting, as required, in their decision making process. In addition to the above Matthew is the joint author of the book “Subcontracting under the JCT2005 forms”.